The two MSF aid workers arrived in Dadaab, Kenya, a sprawling metropolis of makeshift huts and tents, in the summer of 2011 to begin setting up a hospital for the more than 500,000 refugees, mostly Somalis who fled to Kenya because of war and famine. In October, Serra and Thiebaut were setting up a hospital at a separate camp 5 miles away when six gunmen ambushed their truck, shot and wounded their driver and abducted the women. By the time Kenyan police helicopters spotted the abandoned vehicle, the kidnappers had already taken Serra and Thiebaut across the Somali border. Very little is known about what happened to the women during their 19 months in captivity. Yet interviews with sources and reports from U.S. and Kenyan authorities shed light on the ad hoc way that Al Shabaab militants and Somali pirates (who reportedly call themselves The Indian Ocean Network) often work in tandem to hide Western hostages and share the ransom money. “Hostage bartering has been known amongst pirate groups, and it is thought that Al Shabaab has handed some hostages over to pirate groups for negotiation,” says John Steed, a former British army colonel and current executive director at Secretariat for Regional Maritime Security, an organization that assists Somalia’s efforts to combat piracy. Over the course of their ordeal, Thiebaut and Serra appear to have been shuffled between a series of windowless mud huts every few weeks with nothing to read and no one to talk to. Like most other hostages in the region, the two likely subsisted on a single meal a day of boiled potatoes, pasta and, occasionally, camel meat. In recent photos taken when the women landed in Madrid, they looked as thin and frail as the Somali refugees they once assisted. The gunmen who captured Serra and Thiebaut belonged to a militia that a minority faction of Al Shabaab hired, according to Matt Bryden, director of the Kenya-based Sahan Research Group, which focuses on the Horn of Africa. He tells Vocativ the women were immediately taken to the Somali port town of Kismayu, which is also controlled by Al Shabaab, a militant Islamist group with ties to Al Qaeda. The pirates and the militant group once had little use for each other. But since July 2011, when African Union forces pushed Al Shabaab out of Mogadishu and cut off many of its revenue streams from the capital city’s port, the group has been strapped for cash. Yet a senior counterterrorism expert in Kenya, who asked not to be named because he or she was not authorized to talk to the media, tells Vocativ that the kidnappers offered the women to Al Shabaab’s commanders in Kismayu, who apparently wanted nothing to do with them. Instead, the kidnappers dragged them nearly 800 miles north to Harardhere, in central Somalia, where they off-loaded their victims onto a band of pirates for $200,000, a well-connected research analyst based in Mogadishu who wished to remain unnamed tells Vocativ. The Indian Ocean Network had found its newest prize. According to a United States–based authority on piracy and international crime, Mohamed Abdi Hassan Afweyne (who is considered the father of Somali piracy and appropriately dubbed “Big Mouth” by fellow thieves of the sea) admitted in interviews that pirates initially paid the Islamist group $100,000 for safe anchorage in Harardhere between 2008 and 2010. That amount steadily rose and Al Shabaab began demanding 20 to 30 percent of the ransom for both merchant vessels and individual foreign hostages. The Mogadishu-based expert says that pirates paid Al Shabaab leaders various forms of “protection money” as well as a cut of the ransom. In the case of Judith Tebbutt, a 56-year-old British tourist who was kidnapped (and later released) in 2011, the pirates paid $250,000 to pass through Al Shabaab’s land. For safe passage or anchorage of hijacked merchant vessels off the coast of Harardhere they could snag up to $300,000. By 2012 Al Shabaab no longer controlled Merca, a city 50 miles south of Mogadishu and the area where the MSF workers were last seen. 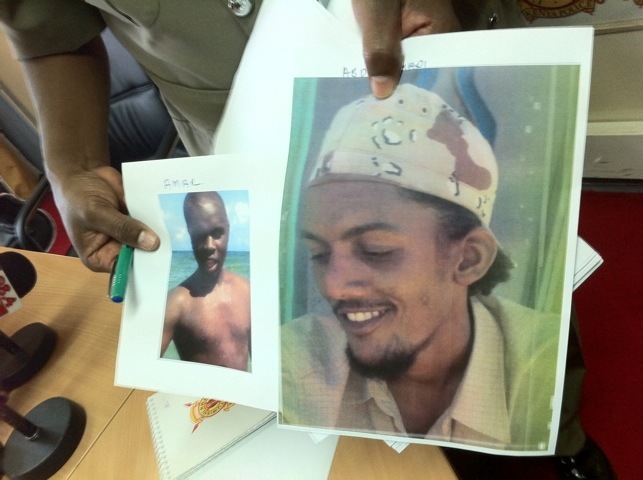 The Mogadishu-based expert concludes that pirates were the likely recipients of the MSF aid worker ransom, and he says it is rumored that Al Shabaab received a 20 percent cut of that ransom, or khumus. Within the Indian Ocean Network, negotiators often pocket extra cash, thanks to a simple, but risky, scam. They will often quote a higher ransom than the kidnappers initially ask for, then keep the difference. If caught, however, the kidnappers will often kill them. Yet neutrality often doesn’t matter when it comes to piracy, as many of the groups involved are mostly interested in making money however they can. Al Shabaab, for instance, got its hands on a piece of the $1.1 million ransom that a private security company and family members paid to liberate Tebbutt, the British tourist, Bryden says. At one point last year, the Islamist group demanded $68,000 per hostage for two Kenyan aid workers who were kidnapped while distributing food and medicine to poor. When it became clear that the families of the hostages couldn’t afford the amount, and the Kenyan government refused to negotiate with terrorists, elders from the hostages’ community eventually agreed on an undisclosed sum with Al Shabaab. Somali pirates have carried out 218 successful hijackings since 2005 off the Horn of Africa, resulting in the abduction of more than 3,700 crew members and the total ransom payment of an estimated $385 million, according to a June 2013 World Bank report. As many as 97 non-Somali crew members died in the attacks, the report claimed. Although ransom rates are holding steady, the heyday of piracy appears to be over. Attempted hijackings declined by 70 percent from 2011. The number of successful piracy attacks in the Indian Ocean continued to decline in 2012, with just 14 reported hijackings. And on the ground in Kenya, kidnapping incidents are almost nonexistent. According to a United Nations report released last month, the decline is in part due to more effective European Union and NATO patrols, as well as the use of private security aboard merchant vessels. Judith Tebbutt survived her kidnapping. Her husband’s killer recently received a death sentence from a Kenyan court. Judith Tebbutt survived her 2011 kidnapping. For now, however, exactly how the ransom exchanged hands remains a secret. Margot Kiser is a Kenya-based American correspondent covering maritime piracy, security, geopolitics, wildlife conservation in East Africa. Best wishes to all for a Happy and Prosperous 2012. Kenya Department of Defence press brief Saturday, Dec, 31st, 2011. Meeting began nearly an hour late @ 11 am. Colonel Cyrus Oguna (a dead ringer for Eddie Murphy) from Kenya’s Dept of Defence delivered in dead pan fashion a speech that included description and # of successes (many) and # of KDF casualties (few) on the frontlines of “Operation LindaNchi” in Kenya’s war against Somalia. When I first heard the name of the military operation – Linda’Nchi – I wondered…who is Linda? And Nchi sounds suspiciously Chinese. Hmmm. A Kenyan politician’s Chinese mistress. Figures. I am proud of my handle on Swahili, but this Linda business stumped me. I know “wananchi” means Kenyan citizens. “Wa” is the Swa prefix for People. “Na” roughly means “of”. So, Wana is people of the…. A Maasai Askari who protects me where I live in Kenya informed me that “Linda” is Swahili for “to protect”. In the west Linda is associated with a woman’s name, but, of course, it’s a Spanish word meaning “beautiful”. I didn’t know that “Nchi” meant country. LindaNchi then means to protect the country. Since we are not referring to the other Swahili-speaking country, Tanzania, the phrase then means Operation Protect Kenya, the territory, that is, and, in this case, from Somalia. Linda Nchi is an apt Swahili name that might easily define “sovereignty” and reminds me of the mantra that the US state Department invariably uses when, let’s say, Israel repeatedly attacks Palestine, “that every state has a right to decide for itself how best to defend itself”. As with Palestine, the international community has yet to recognise Somalia as a sovereign state. A convenient truth? Not recognising a country as a sovereign state is a handy way of rendering it illegal for any non-sovereign state to attack a sovereign state. In essence, Somalia has no right to defend itself. The event that supposedly precipitated Kenya’s invasion into Somalia was the perception that Somalia had invaded Kenya by killing and snatching European tourists (David Tebbutt was shot dead, wife, Judith Tebbutt, and Marie Dedieu were kidnapped) while holidaying on Kenya’s north coast. The group of thieves/bandits/Shabab/pirates had vanished with the two women (on two separate occasions) into Somalia as if into a bottomless long drop, never return until after paying a hefty ransom. Tourism is one of Kenya’s largest revenue earners. Reason alone, I suppose, for Kenya to invade Somalia. Bottom line is that Kenya invaded Somalia to stop Somalia from further invading Kenya. Other incidents of this kind of perceived “invasion” began in the 70’s. The upshot of last Saturday’s press briefing was to inform press of the existence of a list of insurgents thought to have already entered Kenya with knowledge of Al Shabab-related activities. Police spokesman, Eric Kiraithe, said these individuals may be able to provide police w critical information in hunting down Shabab insurgent bases “wherever they may be”. Al Shabab is an insurgent group based mainly in Somalia with loyalties to its parent group, Al Qaeda. 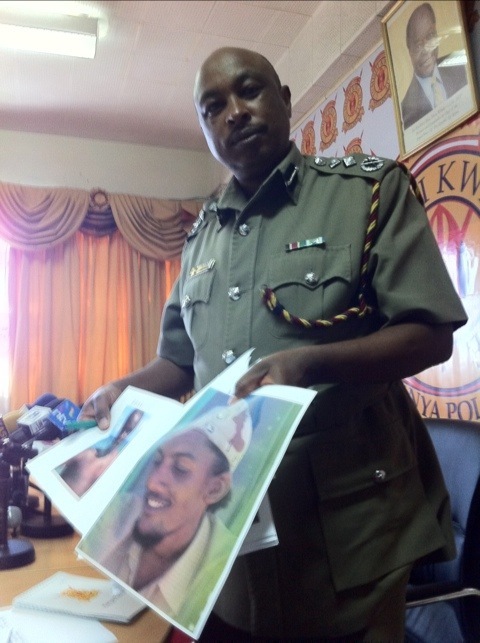 The question remains, what evidence is there to suggest that Shabab had anything to do with the tourist kidnappings?